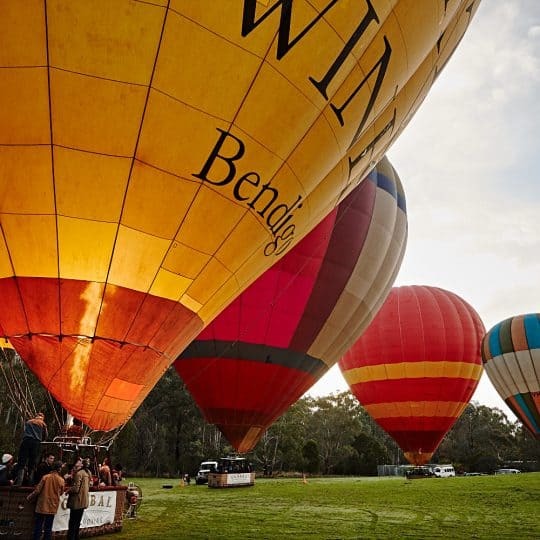 Experience something unique by taking a hot air balloon ride over the Yarra Valley. 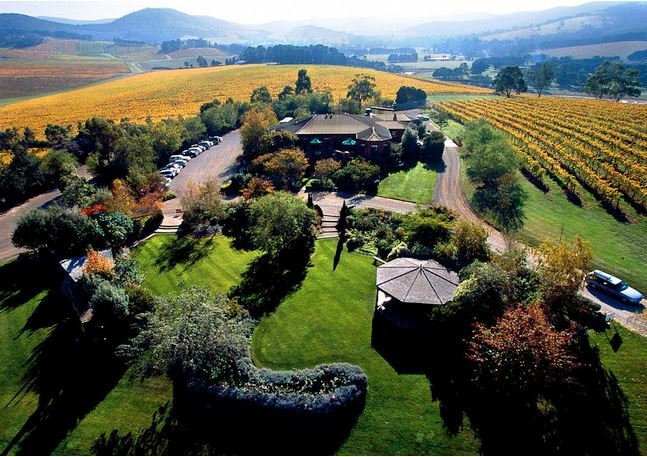 Soar above the Yarra Ranges as you take in the most spectacular panoramic views of the wineries and towns below. 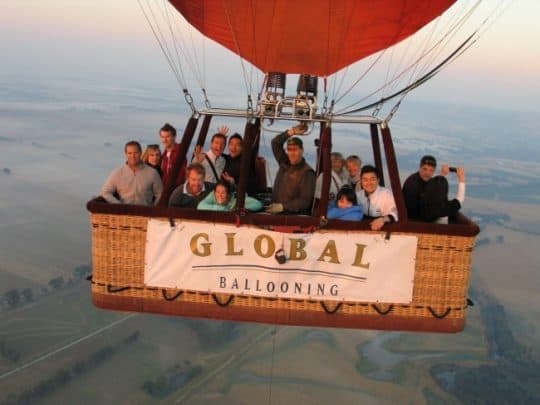 A group or private tour is an absolute must on your next visit to the Yarra Valley as hot air ballooning is an activity that can be enjoyed by all ages. 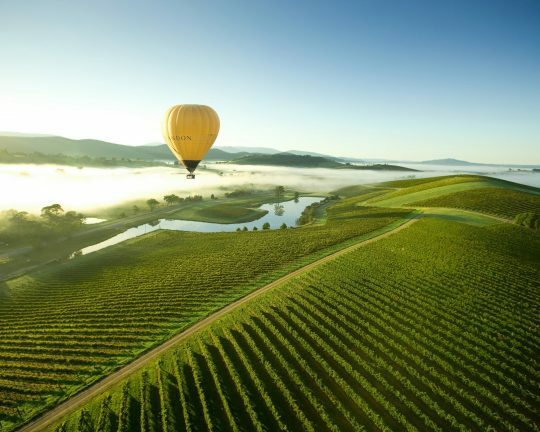 View the stunning landscape of the Yarra Valley winery region with a hot air balloon experience. 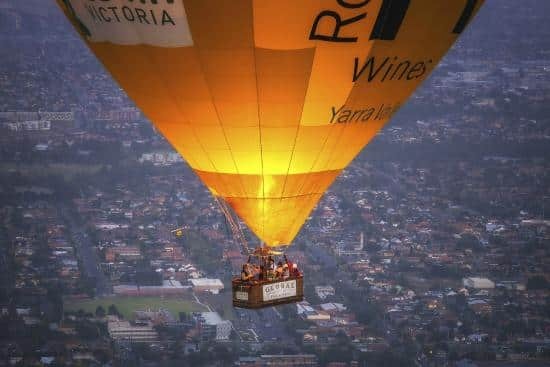 Your Yarra Valley hot air balloon packages include a pre-ride instruction session, the balloon ride itself and often a post-ride champagne breakfast or snack. Before you depart, your pilot will give you a brief overview of the hot air balloon rides and take you on a navigating tour to soar across the beautiful skyline of the Yarra Valley. After your tour, why not head to a nearby winery, where you can enjoy a scrumptious meal accompanied by a beautiful selection of wines. These packages are the perfect setting for a small romantic escape or a fun-filled family day out. Bring your entire family for a hot air balloon ride in the Yarra Valley and enjoy the stunning views of the most beautiful wineries and vineyards while experiencing the thrill of your balloon adventure. The balloon rides last up to an hour and you can customise the tour. 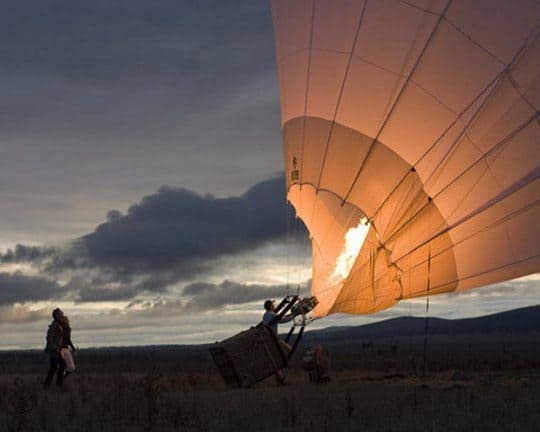 Special wedding and anniversary balloon ride tours are also offered for couples looking to celebrate their special day in a unique way. Book your flight today by clicking the link below and save! Can 5 year old kid go with us? Unfortunately, children must be 7 years or older to fly. If you are still interested, you can purchase tickets here.